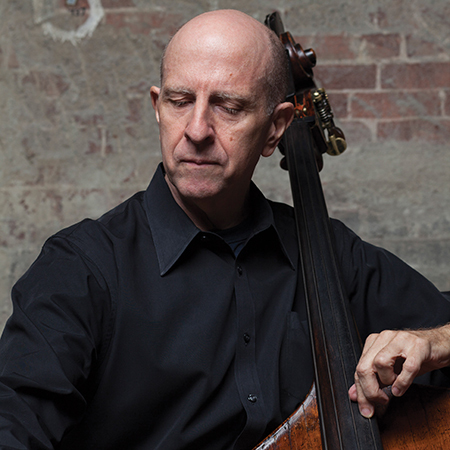 J. Warren Long* has been a member of the VSO Bass section since 1974. Born into a musical family he began his first studies at age 10 on the trumpet. After graduating with a Bachelors Degree in Music Performance from Western Washington State College he was accepted as a member of the Victoria Symphony in 1972. His principal teachers include Ron Simon, Kenneth Friedman and Orin O’Brien. An interest in solo playing led him to study privately from 1980-88 in Aspen with Eugene Levinson principal Bass of the New York Philharmonic. Eight years as Principal Bass of the Carmel Bach Festival plus several solo bass recitals in Vancouver has established Warren as a dedicated and hard working musician. Warren accepts serious bass students for private study. His hobbies include jogging and exercising at the gym.